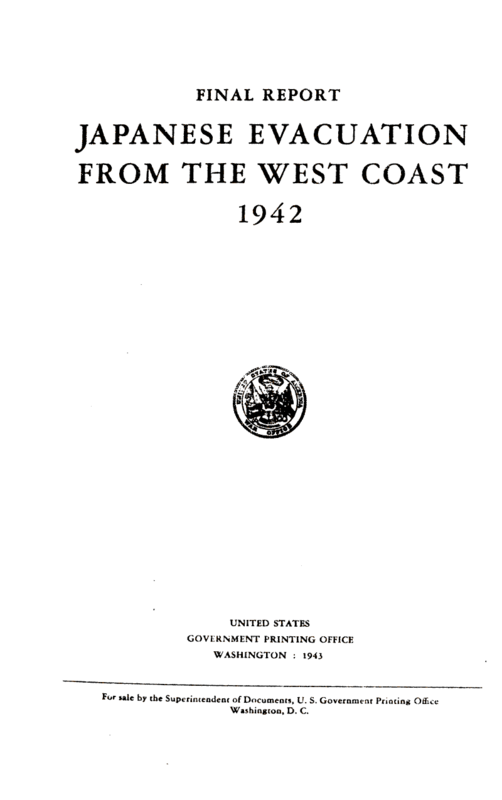 Document Notes: This report provides a detailed accounting of the effort to evauate Japanese from the West Coast. The explanation of the military necessity for the evacuation has been relentlessly attacked to "prove" that there was no such necessity. Naturally, the real and important reasons for the evacuation, Magic intercepts detailing wide spread espionage efforts and other sensitive information could not be revealed. What the report needed was a plausible cover story to justify the action at the time. This was it.